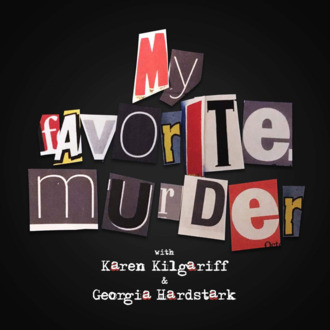 Karen Kilgariff and Georgia Hardstark, the duo behind the beloved crime-themed comedy podcast My Favorite Murder, announced today that they are launching a new network of shows in partnership with Stitcher, the podcast platform owned by Midroll Media. Called Exactly Right, the network will feature podcast programming curated and developed by Kilgariff and Hardstark that will both deepen and expand beyond their traditional focus on true crime and comedy. Specific details on those productions are scant at the moment, but the first shows under the Exactly Right banner are scheduled to roll out later this year. Since launching in January 2016 as part of the Feral Audio network, My Favorite Murder quickly grew from a cult favorite into a full-on podcast phenomenon. The show moved to Midroll last September and nowadays averages around 19 million monthly listeners, driven by an enthusiastic fan base of “Murderinos” who animate the podcast’s Facebook Page and sell out its live shows. Last week, Kilgariff and Hardstark also announced that they were working on a book based on the podcast, to be published by Macmillan next year. The announcement of the Exactly Right partnership, which was brokered by UTA, is the latest in an emerging trend that sees podcast publishers building networks or imprint-style arrangements around singular shows. In March, HowStuffWorks signed an exclusive deal with Lore creator Aaron Mahnke to build a network of suitably spooky Mahnke-developed shows. That, in turn, followed Panoply Media’s early 2017 move of building a series of podcasts in the self-improvement genre around the success of Happier with Gretchen Rubin.